The holiday season is here again: it is a time for reflection, spending time with loved ones, and getting some downtime from your normal schedule. 2014 is coming to a close and as we herald in the New Year, shippers (manufacturers, retailers, and distribution centres) around the country are busy gearing up for the holiday season and have holiday logistics best practices on the brain. However, the diversity of the supply chain, and the importance of timely shipping and customer service, presents a unique challenge at best through several festive celebrations all year long. While this is certainly an enjoyable time of the year, it’s also one that requires some important measures to be taken by facility managers who want to keep their operation running as reliably as they can. With that in mind, here are the six important pieces of advice to keep in mind for warehouse reliability during the holiday downtime. Almost every warehouse or manufacturing facility has a plan in place that governs how their employees should use the equipment and tools within the facility. What separates the best warehouses from the mediocre ones, however, is the quality of their maintenance and operating plans. Is the language used in this policy easy to understand by everyone at the organisation? Does the policy cover all of the areas it needs to govern? Is the policy updated to incorporate new machinery or equipment in your warehouse? When is the last time this policy was updated? A big part of reliability involves having the right guidelines and regulations set in place that are both logical and easy to grasp. This is especially the case during the holiday downtime, when you may be working with a skeleton staff. Planning ahead for the downtime by adjusting your policies to make them more effective is an important part of improving your warehouse reliability. How many shifts do you plan to run during peak holiday logistics season? How many temporary workers will you hire, and what sort of tasks will you allow them to handle? It’s best to answer staffing questions early. If you aim to keep your workers happy, you should also think about some sort of incentive plan that pays bonuses for workers who thrive during a very active time. 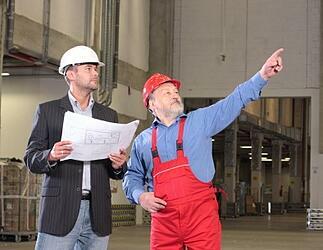 Depending on your industry; the holidays can be a good time for inspections. If production is usually a little slower during the holidays, this means you may have the time to devote to checking out your machines, conveyor belts, storage racks, warehouse security, doors, guard rails etc. As the manager, this is the perfect time to think about MBWA (Management By Walking Around); yes - this is a famously codified in the seminal business book by Tom Peters and Bob Waterman, “In Search of Excellence: Lessons from America’s Best-Run Companies”, 1982. But the concept is nothing new to business. Check on what’s going on. Check on what’s going on not only when you’re expected, but sometimes more importantly, when you’re not expected: Management by Walking (or Wandering) Around. In other words, keep an eye on things. This blog post from Cerasis talks about 4 things to see on your walk and Trade Compliance. 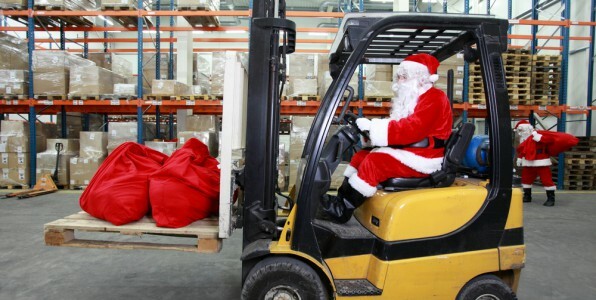 While a thorough inspection might not be the most enjoyable holiday activity at your warehouse or facility, it still makes sense to hold one during this time of the year, since it allows you to enter into the New Year knowing that your facility’s equipment is in proper order and can work the way you need it to. Consider what the cost of not properly inspecting your facility would be if an important device or machinery fails to operate properly and leads to an accident. Did you know that work-related illnesses and injuries cost the economy over $60 billion every year? Schedule a holiday inspection to keep your employees and your products safe and prevent your operation from becoming a statistic. Every warehouse or facility manager has felt the temptation to skimp on warehouse equipment, with the hope of saving a few dollars to repair or install new machinery. Unfortunately, in the long run, this is a decision that can cost you much more than the price difference between a top-quality component and an inferior one. Imagine what would happen if an important element of your warehouse facility were to unexpectedly break as a result of the use of a poor quality part? We’ve previously discussed the benefits of buying Australian made products, which are usually better quality than those produced abroad in countries with less resources and regulations about manufacturing. If you realise that there’s a part of your facility that needs maintenance or a new component over the holiday downtime, do your organisation a favour by purchasing the best quality parts and accessories that you can find. Another element to mention is that cheaper parts and equipment are often sourced overseas which means that if you need to order a replacement, it can take some time to be delivered. This is not a good thing if you are in the middle of a busy production period with holiday downtime looming. Whereas local suppliers will be able to supply a spare part quickly and often will have a team available to replace and install new parts for you, meaning that it will be done to a good standard and you save time and money in production down time (and the added stress). If you discover over the holiday downtime that you have a need for any type of service to your facility or its equipment, it is paramount that you use a reliable organisation that you can trust with your service needs. Be sure to take your time and do as much research as possible about their service quality and reputation: if you can, talk to others who have a history of working with them and see what their insights are about the quality of their services. By making the decision to go with a cheaper or less-experienced warehouse services company, you are gambling with the safety and efficient production of your facility. Why take a chance with two critical areas of your business, when you could call on a reliable service team that can get the job done right the first time. 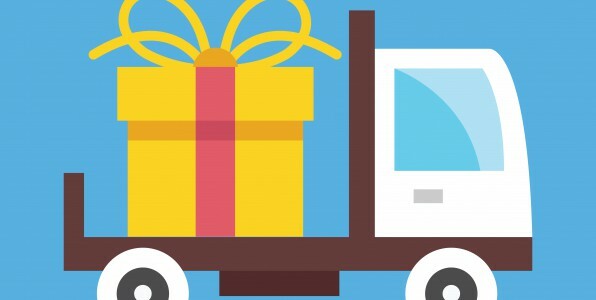 The holiday logistics dance can become chaotic, in part because shippers might promise items ordered right before Christmas would arrive in time. Moving your order deadlines a day or two earlier is likely to reduce much of your last-minute stress and set more realistic fulfilment expectations with consumers. Again, successful logistics execution requires a lot of planning; giving yourself contingency time built into expectations and you’ll be giving the customer realistic estimates for delivery. Make sure you have tools in your system that allows for tracking and gives notifications of the delivery process along the way. Not only will this save time checking in on delivery drivers / but allowing the customer to track the delivery themselves – reducing time required at headquarters to respond to customer delivery enquiries. No matter how much you prepare, the busy holiday logistics season can put strain on any freight business or shipper. The business landscape is competitive, and consumers have proven willing to share their displeasure with late or incorrect orders on social media and by other means of word of mouth. Those that are prepared and execute well will have a competitive advantage. Planning for the surge with a focus on best practices for holiday logistics execution will also keep the CFO and accounting folks happy, as there will be less customer headaches, returns, or unexpected increases in costs associated with logistics such as labour, shipping costs, and more. Distribution centre mistakes can be mitigated by following the simple steps above, which will help create a more cheerful—and profitable—holiday logistics season for all. At Remax, we understand the impact that the holiday season has on the manufacturing world. It can be a hectic time filled with downtime, production breaks, employee vacations, and other year-end concerns that warehouse maintenance and management professionals have to handle so that they can maintain high levels of reliability. As a result of this understanding, we offer our clients everything they need to keep their facility running at a high level. If you are looking to improve your warehouse reliability this holiday season, schedule a service with Remax or check out our guide to choosing warehouse roller doors or warehouse pest control. These resources will help you ensure that your organisation has a safe, enjoyable holiday that does not set you back when you resume your normal operation.